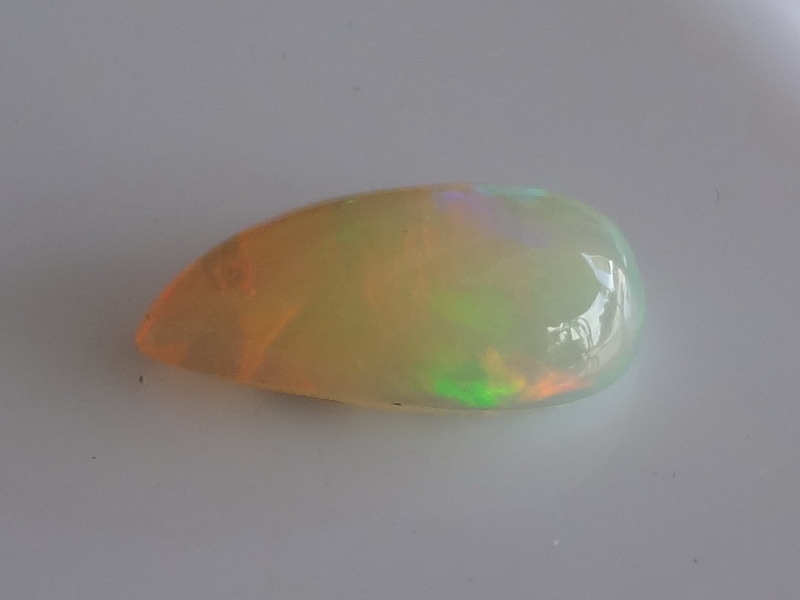 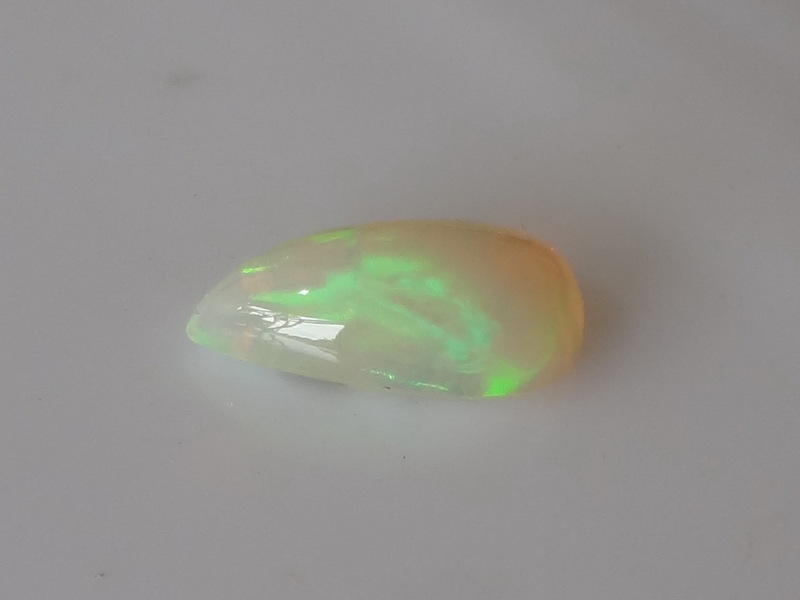 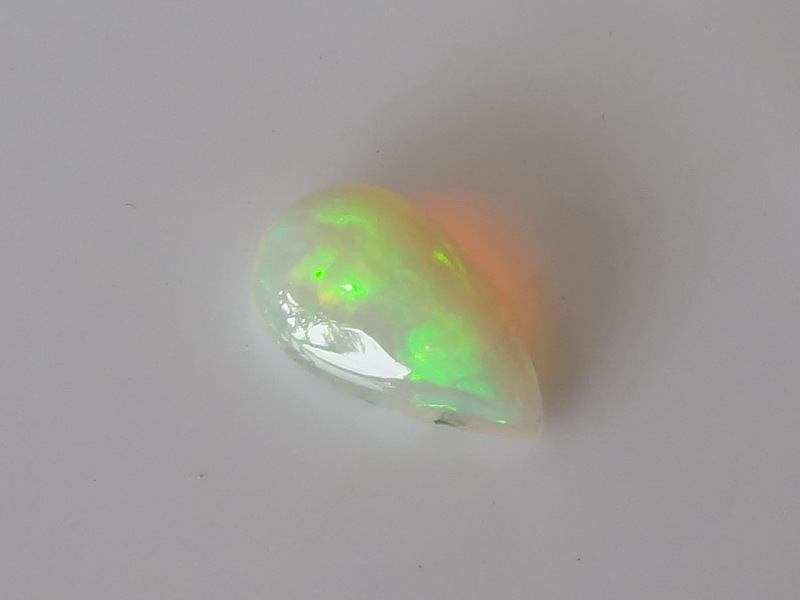 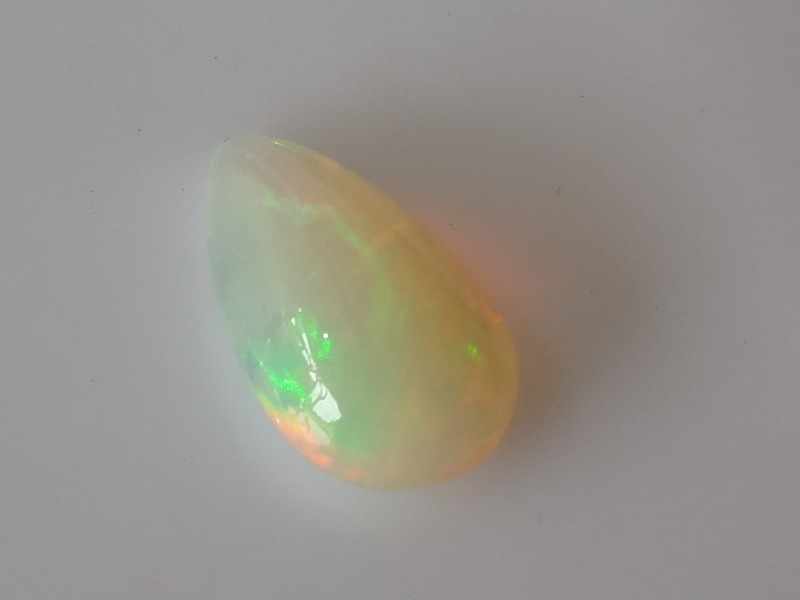 Tear drop shaped Welo Opal Cabochon out of Ethiopia. 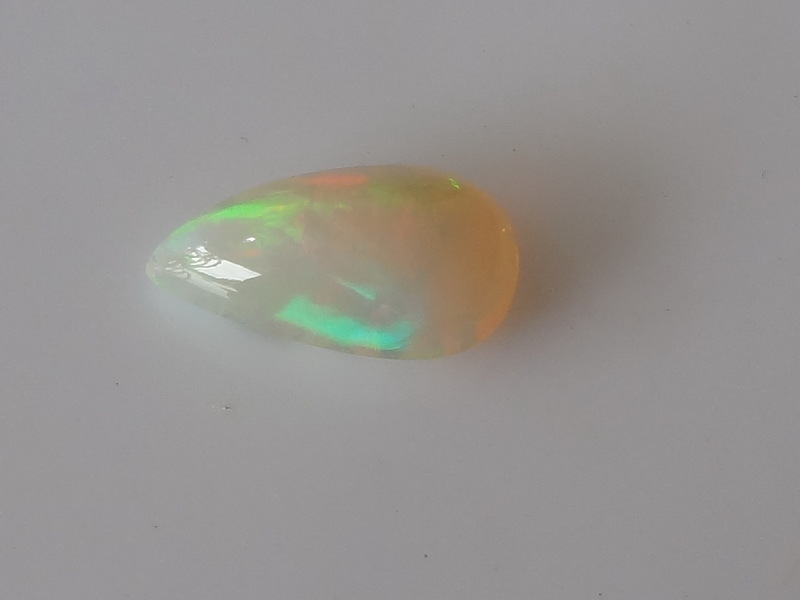 This one is sold at a discounted price because of marks below the stone. 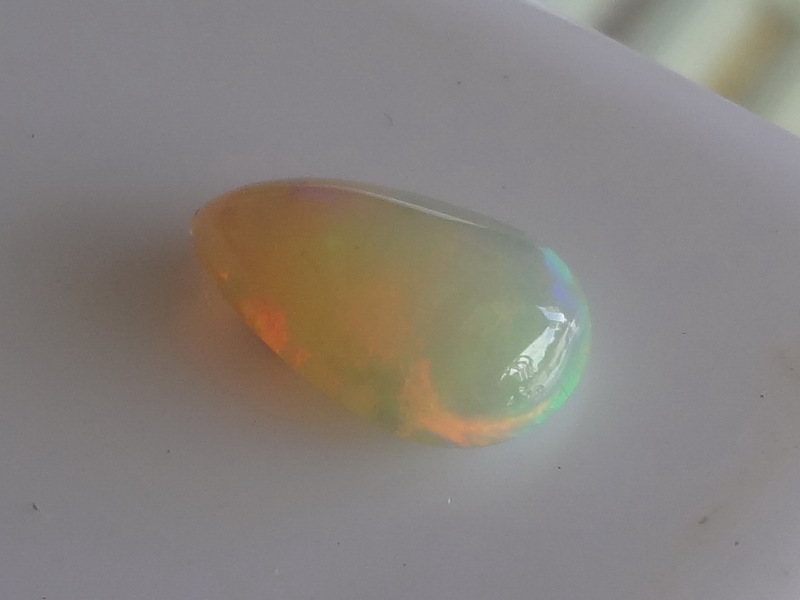 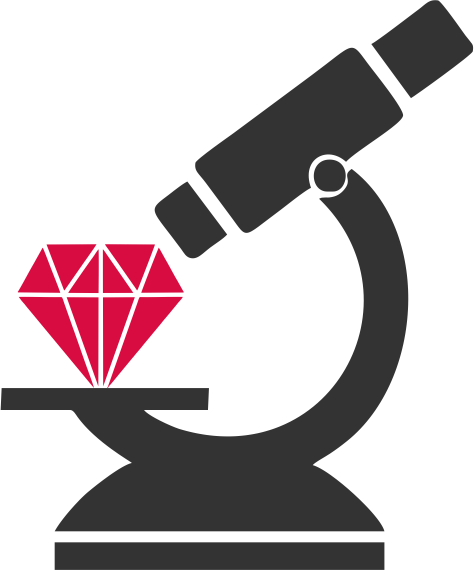 These marks can't be seen from the top of the cabochon safe for a very small dark spot on the side which is at a good location to be hidden when the stone is set on a jewel. 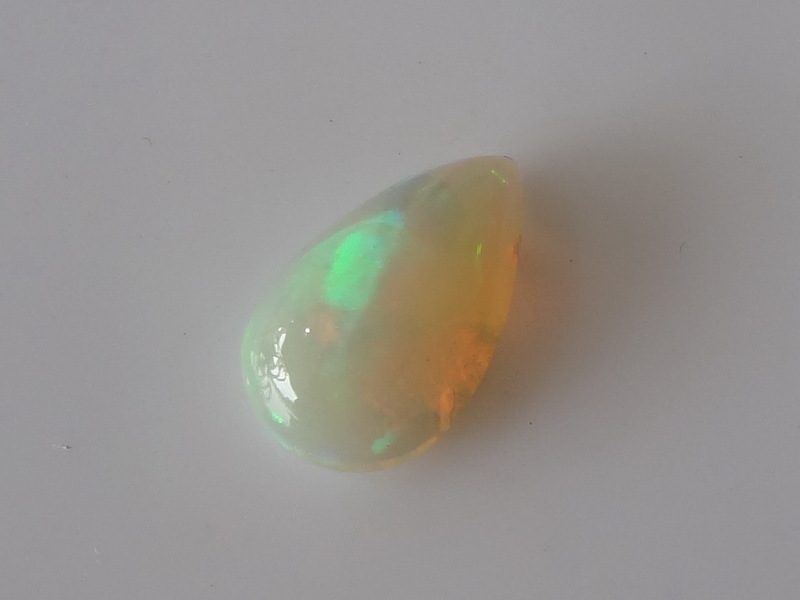 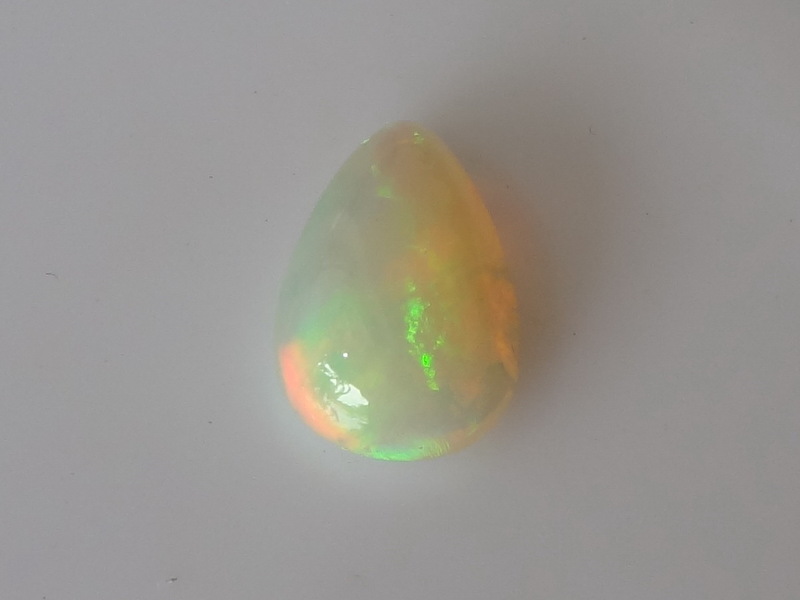 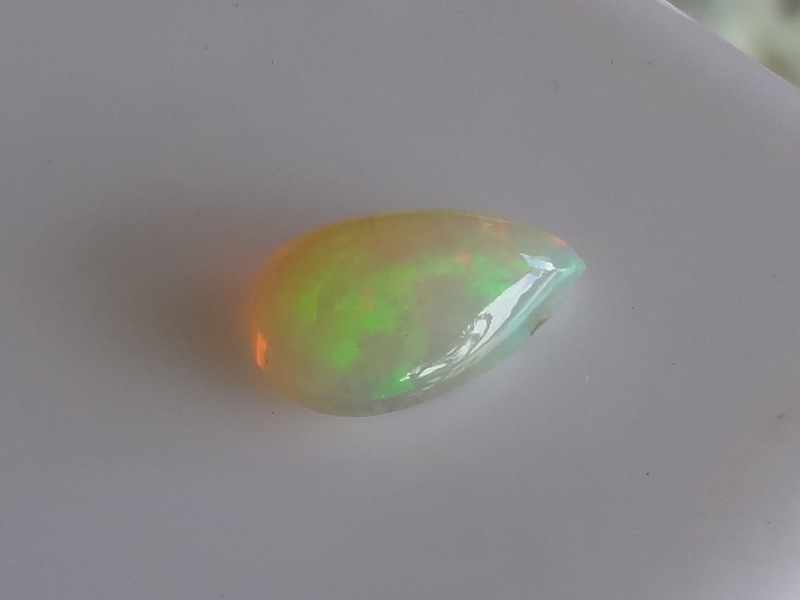 Great deal for this Opal which is very colourful and shiny.